There is nothing more frustrating than having read up on a product, looked through reviews and made the decision to make the purchase, only for you to be blocked at the last hurdle. This article presents some of the issues that our customers have faced when attempting to make a purchase from our store, and how to resolve them. Double check that you have input your card details correctly. Try PayPal instead (you can check out with your credit card as a guest on PayPal if you don't have an account). If your screen seems to freeze when you choose the PayPal option on our Store, it may be that the PayPal pop-up has been blocked. 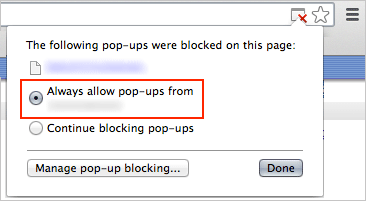 If your browser has blocked the pop-up, you will not be able to continue with the process. If you make a purchase on the Microsoft or Mac app store, you won't receive an activation code. Please simply download your purchased software from Microsoft or Apple after purchasing.